Local 704 was chartered on October 22, 1946. During that period in history President Roosevelt’s dream of the Tennessee Valley Authority was beginning to have a positive impact on the lives of the people in the region. Dams, Hydro plants, steam plants and nuclear power plants. All these and the related work that goes wit them, has been done by Local 704’s members. We currently have work with contractors in the TVA system, along with the southern company in Georgia. All of these projects demand highly skilled and trained craftsmen dedicated to their work and their union. Arnold Engineering and Development Center, an Air Force base located in Tullahoma, TN is another source of work for our members that demand highly skilled and well rounded craftsmen, with a broad knowledge of the Iron Working Industry. We also have a broad contractor base, with members working on schools, hospitals, and office complexes to name a few. We are committed to providing all of our contractors with skilled, safe, drug free workmen. Our Apprenticeship and Training Department is very instrumental in helping accomplish our obligations to our contractors, supplying safety courses and certificates, along with training on all the different aspects of Iron Working to Apprentices and Journeymen alike. Our Apprenticeship and Training Department is always interested in new recruits and is constantly revamping itself to help accomplish our goals. 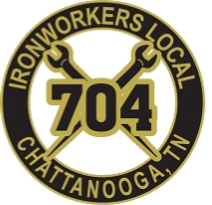 There is currently an unprecedented building boom going on in the Southeast, so anyone interested in getting into the Ironworking Industry, wants good pay and benefits while they train, should contact our training department at 423-698-4198.